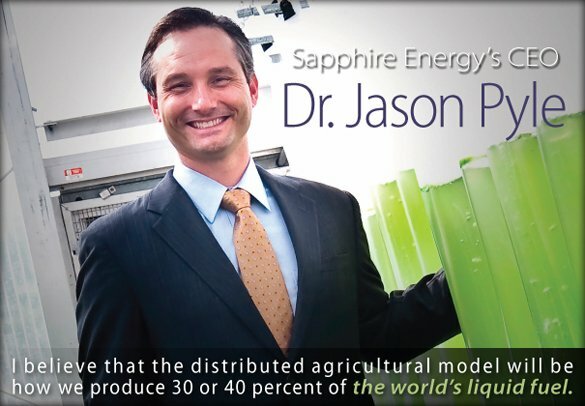 r. Jason Pyle, the high profile CEO at the even more high profile “green crude” developer, Sapphire Energy, holds a Ph.D. in Molecular and Cellular Physiology, as well as an M.D., from Stanford University. He received degrees in optical engineering and physics from the University of Arizona. His post-doctoral research focused on the large-scale expression and control of neural proteins. While so much education can tend to sequester such brainiacs into laboratory settings, Jason is a gregarious ambassador of drop-in algal biofuels, as well as an experienced and savvy business innovator. In fact, Dr. Pyle was named Innovator of the Year in 2006 by the global market research firm Frost and Sullivan. Considering he’s running a $200 million algae gamble by our government, in partnership with two high visibility private investor groups, this is a good thing. 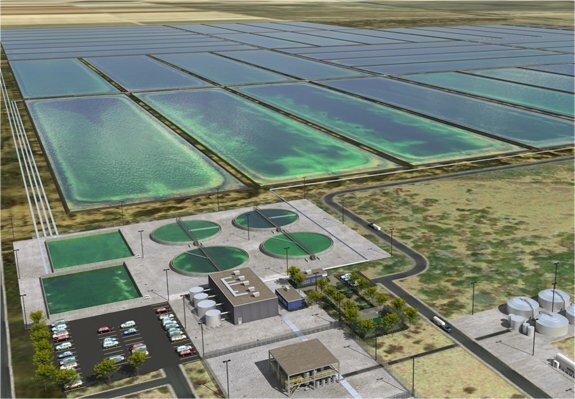 Many eyes are fixed on him and his superstar executive staff, pursuing their relatively short-term plan of producing large quantities of competitively priced algal biofuels. We caught up with Jason at the Scripps Seaside Forum recently, at an event hosted by CleanTECH San Diego and the Australian Trade Commission, and began our conversation talking about where Sapphire Energy is in their growth plan. What milestone are you currently dealing with at Sapphire? The milestone we just completed was the full unit operation pilot testing. The process that we are planning to commercialize has six different unit operations, and we pilot tested all six of those for quite a long time. We have about 60,000 hours of pilot data now, and the goal of that was to fully inform the build of our commercial demonstration facility. The milestone we are now working on is the eighteen-month milestone, the one that will happen in the middle of 2012 for us, which will be the successful launch—obviously!—of our commercial demonstration facility. What is the scale of that? The important feature of the commercial demonstration facility is that all of the unit operations, which will be integrated at that point, are at commercial scale. In this case, the literal size of the first space is only about 100 acres of production, which then leads into the various processing operations. But the important feature is that it is the exact unit operations size and scale that you would use in a commercial facility—you just replicate them, over and over again. The way that we look at it, it’s like you might grow a million acres of rice, but you don’t grow it in a million acre parcel. You have it subdivided into unit operations. Normally for rice it’s about 10-20 acres in size. Ours is about 100 acres. 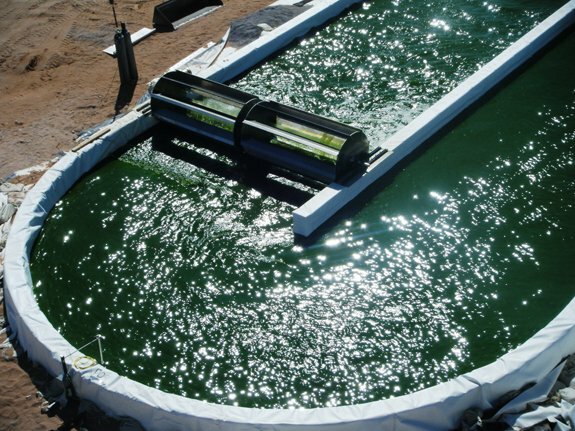 Will Sapphire become a large algae producer at commercial scale, or will they more facilitate farms and large-scale bioagriculture through clients and partnering organizations? In the commercial demonstration itself, the eighteen months that we are leading up to, we have a large number of partners, about 15, that we are working with that go all the way from, on one side, agricultural producers, all the way on the other side to very large engineering, procurement and construction. But the question about would we develop it completely at the commercial scale, I think the answer is, most soberly, no. Because when we start thinking about our own aspirations producing a million barrels a day, that is almost invariably going to require a lot of participation from a lot of people. To skip to a sub-part of your question about farmers…is there a distributed agricultural model to this? My answer is I absolutely believe so. That one day, I don’t know if that will be in the first million barrels or after it, but I believe that the distributed agricultural model will be how we produce 30 or 40 percent of the world’s liquid fuel. As far as Sapphire’s long-term involvement in this, how far does it reach? Will you ever go into refinement or distribution? The actual business model at Sapphire is to only produce crude oil. The reality of our business model is that, even though we are fully developing all of the technology for the crude oil product, the burden of proof is still on us that that crude oil can be then refined in a normal crude oil refinery, and turned into the products that are being produced by that refinery, namely gasoline, diesel and jet, and then is usable in a practical and safe way by the customers at the end of the distribution network. So we built our business around all of the technology development and deployment up to the crude oil stage. But we also work, mainly with partners, on the technology development after the crude oil stage, simply to assure potential refining partners and potential customers, like an airline, that the product that they get will be on spec and will be the of the quality that they’re used to expecting from petroleum. Sapphire is publically seen as having made a commitment to fuel, as opposed to diversifying into a lot of other applications. At the same time, your R&D has allowed you to develop short cuts, breakthroughs, all kinds of things that could apply to other areas beyond fuel. Is there a technology transfer component within Sapphire to facilitate that, or to make those technologies available to other producers? We have not yet made any kind of commitment about putting our technology in other people’s hands. It is true that we focus entirely on fuels and it’s largely both from a philosophical reason and from a practical business one. The philosophical reason is about the enormity of the fuel scale, and that if one isn’t shooting for the biggest target, you tend not to make it there. The practical business reality is that the moment you start making money by making another product, your company becomes whatever that product is. So if we chose to make lipstick, and made money doing it, then we’re a lipstick company. The large investors we have, most notably the Welcome Trust, involved themselves specifically because of the transformational nature of what we can do with fuels. Certainly no one is adverse to making money in other arenas — and I imagine we will eventually do that as a company, probably not internally but through a licensing model, to go into plastics and potentially nutraceuticals, and maybe even pharmaceuticals. But I think from a corporate vision, and an investor vision perspective, Sapphire will always be an oil company. So your investment, $200+ million so far, half from private investment, half from the government…how does ownership play out in that public/private combination? The United States government hasn’t taken any ownership stake in Sapphire. 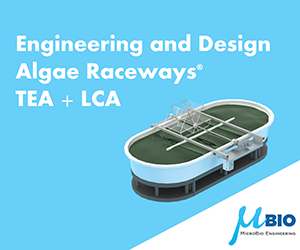 Their contribution to the project is the recognition that the development of algae fuel is in the national interest. And that, the acceleration of it through a package like the American Reinvestment Act, would create both technology and jobs in the United States. Also that this is a field that we have leadership within the world, and they are committed to, basically, accelerating that. So the investment they see is the longer-term investment of technology development, of jobs, of sustainable industry, and ultimately the United States government is a massive consumer of fuel. They are very quick to make the relationship between themselves as an investor in the technology, and themselves as a customer. Do you see them continuing to invest in Sapphire, or do you have to make it with what’s in the tank? I hope they continue to invest. It’s clear to me that the visionaries of the current administration, which includes the Secretary of Agriculture, Secretary Vilsack, would very much like to continue this because they really do see this as a national interest. Whether or not the political exigencies allow them to do that is something we’re all looking at. You mentioned earlier a one million barrel annual production would require three million acres. Geographically, how do you see that cultivation distributed in this country? We have 50 million fallow farm acres in this country, so one of the great opportunities that we are putting on the table is the idea of taking fallow agricultural land and putting it back into commercial use. Those acres are very distributed, the level of algal expertise is very uneven, the consistency is unpredictable. With all these variables do you have a high enough level of confidence, as opposed to doing it all in one general area and climate, supervised by one expert team. In the agricultural model, which we aspire to, it’s a two-edged sword. On one hand you would like to produce all of your product in the same exact region because you have greater control over the variables. On the other hand you are also concentrating all your risk. It is common in agriculture now that if you’ve distributed geographically, you have a much lower likelihood of a catastrophic crop failure across the entire industry. So when you look at things that are highly distributed, things like wheat, corn, rice, soybeans, canola…they tend not to absorb catastrophic crop failures, and tend to be very local. As we move toward an energy industry that is based on production agriculture, I think we’ll have to take that same approach. In the process of getting to where you are now, you’ve developed proprietary approaches that obviously you don’t want to talk about, but, are there some that you think by communicating them to people it may help to move the industry along. Another way of saying it, are there things that you have learned after much experimentation that you think people should just know at this point? I have a couple, but unfortunately they’re controversial, as these things tend to be. I would say, though, that one of our experiences leading up to now is to never quantify productivity in terms of gallons per acre per year. That’s a very false metric. The only metric that actually matters is dollars per kilogram. So it’s: what can you produce the biomass for in dollars per kilogram? And it really doesn’t matter if you are producing 500 gallons per acre per year or 5000 gallons per acre/year if the dollar per kilogram is appropriate. If you look at the yields of other agricultural crops, like rice, the biomass yield is exceptionally low, but the cost is also exceptionally low to produce it. 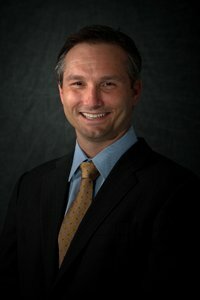 So we tend to look through the lens of the cost must be 30 cents per kilogram, and if the industry would pick this kind of concept up, it would both help standardize everyone’s thinking, because it doesn’t really matter what organism you’re using or how fast it’s growing, it’s how much does it cost to do it? It would help everybody to compare apples to apples, and it would also help people who are outside the industry understand what our cost basis looks like as the curve comes down. Is that $.30 per kilogram just for the cultivation cost? We divide our costs into three separate categories: cost per biomass (dollar per kilogram in biomass), then we have dollar per kilogram harvesting cost (which is how you remove the water), and then you have dollar per kilogram extraction cost (how you remove the oil from the slurry). So when I talk about the 30 cents, that’s the biomass grown. If you can grow biomass in the open field for 30 cents per kilogram, then you are doing a very good job. The land and everything is in there. This would be like if you were a farmer and you grew your acreage of corn or rice, and you haven’t harvested it yet, but it’s ready to harvest…how much it cost you to get there. What percentage of that biomass becomes fuel, and what percentage is left over for other purposes, and what are those purposes? Back to our scheme being wholly focused on fuel, we have no other purposes. The goal of our entire process is to have no residual of any sort other than liquid oil. We can’t attain that, because then we’d have a perfect process, but we’ve gotten very close. The idea is that when you harvest the biomass, you extract the liquids, which can be as high as 50%, and then you recycle all of the 50% residual. Back into the growth system. Really? Not feed, not fertilizer? No other product leaving the site except for fuel. So, as nutrient for the next generations? Exactly. If you look at where you lose a huge amount of money in these processes, it’s in nitrogen, phosphorus and sulfur exiting the plant, because, one way or another, it’s a plant and they have to grow. One of the things that we’ve focused highly on is how we recover all of the nitrogen, phosphorus and sulfur back into the system. And that is a really important feature of lowering cost and also being sustainable. Is there anything else in the biomass that accumulates? Inevitably you end up in a situation where you have to do what the engineers refer to as blowdown, because some amount of solid stuff is accumulating — at a very, very low percentage, less than one percent in our case. But over long periods of time that becomes significant. Then you have to have a means to handle that. In our case, we model in our economics that we would landfill it. It’s nontoxic and it can be used for land reclamation. But we model it as a cost, not as a profit center. 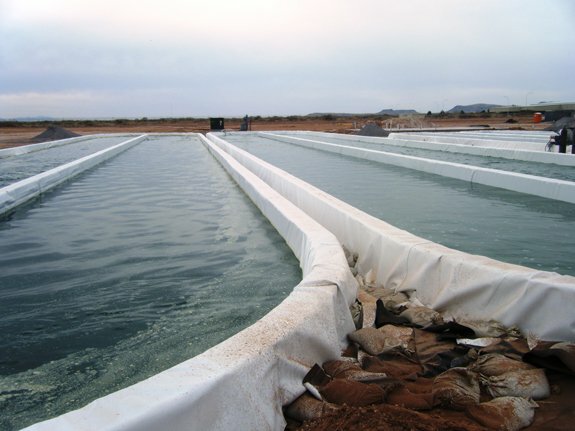 You grow your ponds with brackish and seawater. What is your CO2 source? In the commercial facilities it will be industrial sources, such as power plants, SMR (steam methane reforming) off of refineries, a variety of things. In the demonstration facility it is a test CO2 source. The way the demonstration facility is built is to answer a very specific question. Everyone knows that you can grow algae off of smokestacks. That’s been proven for years. The question that remains open in the industry is what is the full operating range of algal growth consumption of pollutants coming out of that industrial source? So what we are setting up for at the commercial demonstration is to answer that question, to run the facility from 100% pure CO2, and then add all of the different kinds of things that are pollutants and observe their impact. One of the things I don’t think everyone has fully grasped yet is, if you are going to take the smokestack off of, say, a coal-fired power plant, you will get no breaks from the EPA. The Clean Air Act applies to you, too. So, in order to take that CO2, or that off gas, and process it, you must know exactly where all the pollutants go, and it’s not just the CO2, it’s the mercury, the vanadium, the uranium, all of the different components that come off of coal-fire gas that the EPA is concerned about. So we are set up in the demonstration to measure all of those effects. You have said that Sapphire is only producing in open ponds. How do you deal with the common complaints of increasing salinity through evaporation, predators…? How do you manage your ponds to be pure strain and efficient? Really what it is is a marriage of two technologies. The deployment of shallow water civil engineering systems is the oldest technology in the world, so there’s no question that we know as an engineering discipline how to build those systems, how to move the water, how to concentrate the water, how to blow it down to prevent it from over-concentrating, how to handle all of the materials in it. That’s so incredibly well understood by the water reclamation industries that we work with that we do not have any doubt that a civil engineering system can be constructed that meets the water requirements. Then, what you are trying to do is marry that technology with another world scale technology, that of bioagriculture. 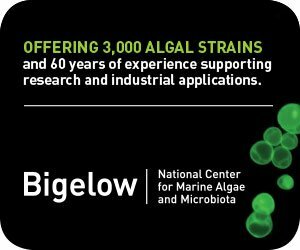 And all of the problems that people commonly site as the big roadblocks for algae are the exact same problems that companies like Monsanto and Syngenta and Pioneer have multi-billion dollar businesses around—crop protection, harvestability, yield. All of these things are the exact same problems that they face. So what we’ve really done at Sapphire is perform a technology arbitrage. 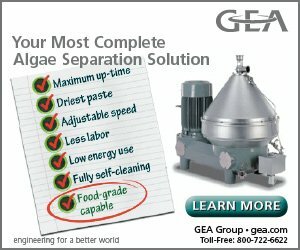 We lifted all the known techniques and methods that are commonly used in bioagriculture to provide crop protection, to provide harvestability, to provide yield enhancements, provide environmental stability, temperature stability, salt stability…and took them out of things like corn and wheat and rice and put them into algae.